JEFF MEADOR is a Certified Public Accountant and partner in Meador & Jones, LLP. Jeff has over 40 years of experience in providing public accounting services to clients. 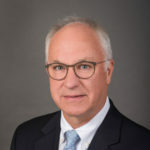 Jeff started with Ernst & Whinney (Ernst & Young) in Houston in 1977 and later moved to Austin as tax manager for Coopers & Lybrand (PricewaterhouseCoopers). With his experience in these two international accounting firms, Jeff founded the Austin firm in 1985. In 2007 the name changed to Meador & Jones, LLP. Jeff received a Bachelor of Arts degree in Economics in 1974 from the University of Texas in Austin. His post-graduate work included two years at UT McCombs School of Business where he studied accounting. He passed the CPA exam while at Texas. Jeff is a member and serves on the tax committee of the American Institute of Certified Public Accountants. In addition, he is a member of the Texas Society of Certified Public Accountants, and the Austin Chapter of CPAs. Jeff has extensive industry experience including real estate, title insurance agencies, oil and gas, political campaigns, beverage distribution companies, legal and medical practices, manufacturing, and business valuation. Jeff has a long history of working with non-profits, including public and private foundations. He is also experienced in estate administration and executor duties. Jeff has been an instructor for various tax topics for the Texas Society of Certified Public Accountants and international accounting firms. Jeff has served as treasurer of the Austin Museum of Art and has previously served on boards in various capacities for the United Way, West Austin Youth Association, West Austin Neighborhood Group, Rotary Club and Vestry of the Church of the Good Shepherd. In 2014 Jeff was appointed to the Texas Lottery Commission by Governor Rick Perry. His hobbies include golf, snow skiing, and fly fishing. Jeff is also an accomplished watercolor artist. Jeff is responsible for all tax engagements and is the founding partner of the firm.